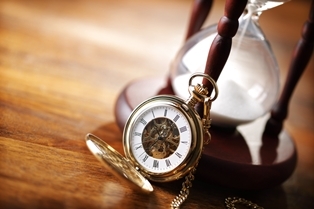 How Long Your Virginia Lemon Law Case Should Take | The Consumer Law Group, P.C. How long will it take to settle my Lemon Law claim in Virginia? Settling a Lemon Law claim is not as simple as returning an unwanted pair of jeans to The Gap. It can take many months from the day you buy your car to the day you are fully compensated when that car is a lemon. In some instances, it can even take years. However, when you work with an experienced Lemon Law attorney, the process should be much quicker. In a highly publicized Lemon Law case out of Wisconsin a few years ago, Mercedes-Benz was ordered to pay $482,000 in damages for a car that was originally purchased for $56,000 in 2005. This is one of the largest Lemon Law judgements ever awarded, but it took over five years from the purchase date of the car to the final resolution of the case. In this case, the manufacturer had 30 days to respond to the owner’s initial request for a refund and failed to do so. Under Wisconsin law, the owner could then sue for double damages and legal fees, which he did. After several appeals, the case finally settled in 2010, with Mercedes being ordered to pay $168,000 (double the purchase price, plus interest) to the owner and $314,000 in legal fees. Had the manufacturer responded promptly, they would have saved several hundred thousand dollars. Keep detailed and accurate repair records. File a Lemon Law claim as soon as possible after three unsuccessful repair attempts for a non-safety related defect, or after one unsuccessful repair of a safety defect and after giving written notice to the manufacturer. Written notice means writing a letter to the manufacturer, not an email. Hire an experienced Lemon Law attorney. The Wisconsin case is a good example of the courts cracking down on manufacturers who delay decisions in the hopes that a consumer will just give up. When you work with a Lemon Law attorney, however, he will make sure your case is dealt with promptly. If you have a lemon and are struggling to be heard by the dealership or manufacturer, call our office today. We will determine if you have a valid claim. Our fees are paid by the manufacturer upon successful completion of the case.